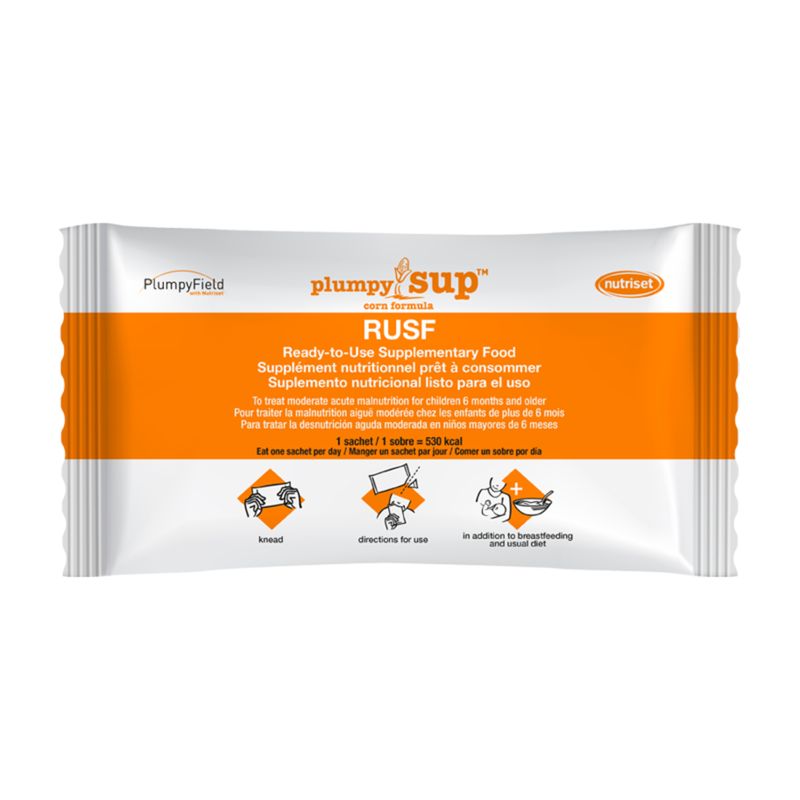 Plumpy'Sup™ corn formula has been designed for the treatment of moderate acute malnutrition from the age of 6 months as part of nutritional supplementation programs. Plumpy'Sup ™ corn formula is also suitable for children who are coming out of therapeutic nutrition programs, to prevent relapse into severe acute malnutrition. Plumpy’Sup™ corn formula should not be given to people who are allergic to peanuts, dairy products or soy. People who fall under the cut-off for moderate acute malnutrition (using Mid Upper Arm Circumference, Weight/Height ratio) need to receive an adapted diet that allows them to regain a normal nutritional status. The diet particularly needs to account for elevated nutrient and energy requirements. A lipid-based nutritional supplement with a high vitamin and mineral content, such as Plumpy’Sup™ corn formula, is well-adapted to the needs of moderate acute malnourished people. 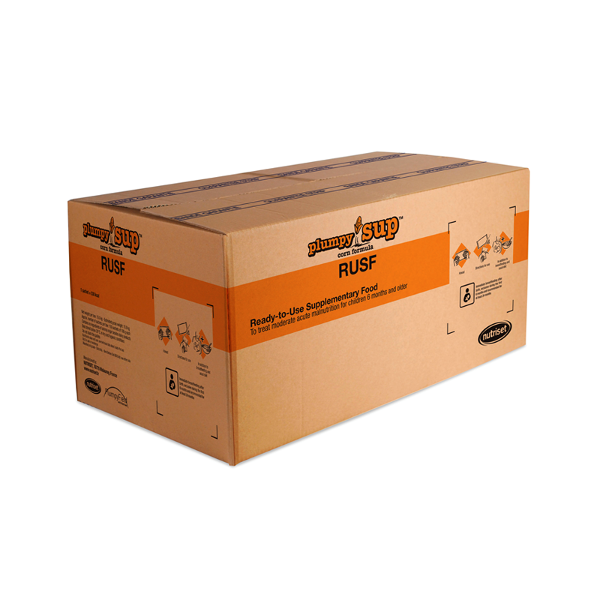 Results that can be achieved with Plumpy’Sup™ have shown to be superior to those attained with fortified blended flours. With these caracteristics, home use is possible and the product is particularly well adapted to emergency contexts or to nutritional programs to prevent malnutrition. Plumpy’Sup™ corn formula is not substitute for a varied and nutritious diet and for breastfeeding. This superiority in terms of weight gain is only seen in children treated with RUSF containing soy isolate. In other words, according to this study, those receiving RUSF dehulled soy flour did not have a better weight gain than those receiving CSB containing dehulled soy flour. Children treated with RUSF have a higher fat-free tissue gain than those treated with CSB. This gain in fat-free tissue is associated with better growth in children.